A chic & funny pore pack that helps easily remove unwanted blackheads & clogged sebum in just three steps, and say goodbye to your strawberry nose. 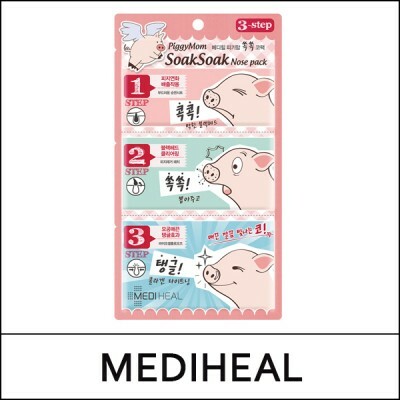 Step 1: Features a cotton texture to soften sebum & blackheads inside the pores Put a steamed towel on nose before applying nose patch for better result. Step 2: Helps clear sebum & blackheads that clog pores Slowly take off the nose patch to prevent skin irritation. Step 3: Helps quickly firm & shrink pores with collagen Keep in fridge before using for better results.